Over the last ten years I’ve seen a wave of development, advancement, and improvement in building materials used in the construction buildings. Some of the biggest advancements and improvements include products focused on improving the building envelope while also helping builders become more efficient and profitable. Georgia-Pacific has been a pillar in the building materials industry for almost 90 years so it’s not surprising that they are helping drive the industry with new and improved building products. 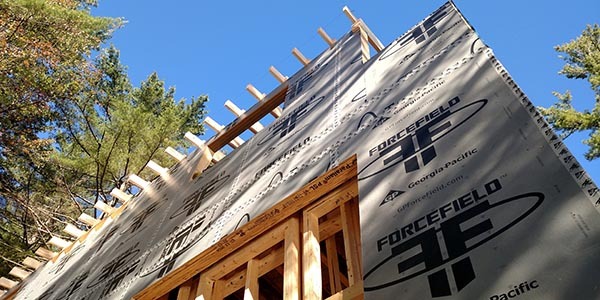 Georgia-Pacific ForceField® is a structural engineered wood sheathing panel with a proprietary air and water barrier laminated to the exterior surface. 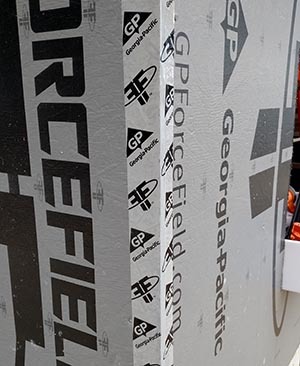 This Fall we tested Georgia-Pacific ForceField® on a new house build for a customer at work. The new home is a vacation home located on a lake here in New Hampshire. The house faces extreme weather conditions do to it’s close proximity to the water (only 10 feet from the shore!). 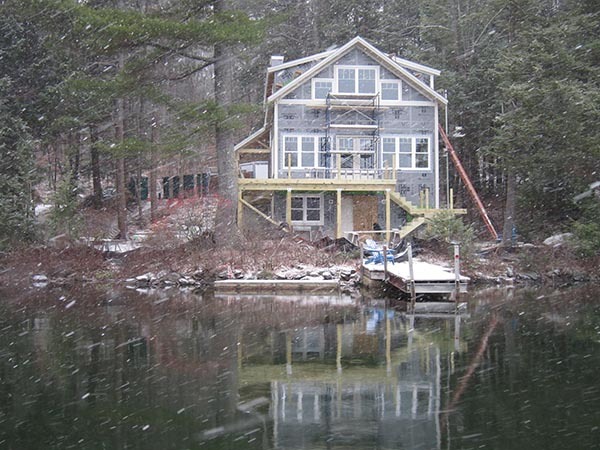 The close proximity to the lake combined with hot humid summers and frigid winter conditions made this new home a great candidate for an improved building envelope. This new construction build consisted of on site framing of the lower (basement) level walls, and prefabricated walls panels for the first and second floor. The only difference between the two different framing approaches was the direction of the panels. 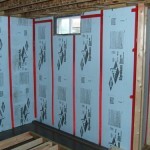 For the site framed walls our crew installed the sheets perpendicular to the framing. While the prefabricated wall panels were framed with the sheets running parallel to the framing (this allows for the panels to be “broken” for shipping easier). 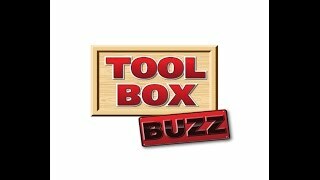 The first obvious question that any builder will want to ask is how does it compare to other sheathing materials when it comes to installation. 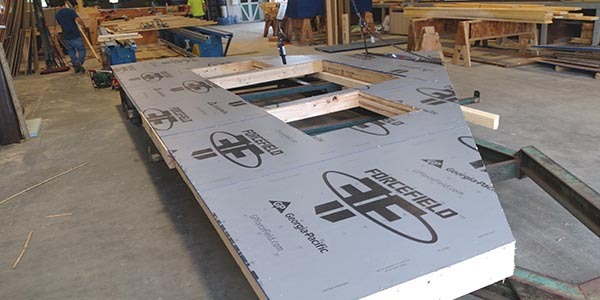 GP ForceField® cuts and installs just like any other sheathing product we’ve used in the past. The laminated barrier does make the sheets a bit more “slick” which makes sliding the sheets off the pile easier, and since we’re not walking on the walls, slipping isn’t an issue. Nailing of the sheathing wasn’t an issue either. We nailed these sheets using standard pneumatic nailers with 10d full head nails. 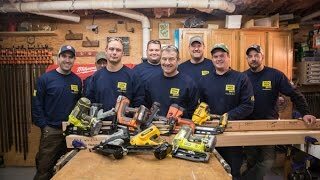 Once the nail guns were set to the proper depth, we were able to maintain the proper depth of drive easily as the material had a consistent density. Once the walls are framed the GP ForceField® sheathing panels need to be taped to complete the assembly. GP ForceField® tape is a 3″ wide roll, 180 ft long. 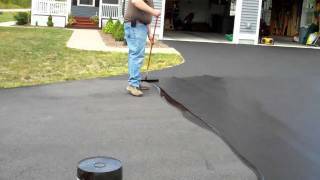 We really loved their seam tape because it’s really easy to install, and especially easy to tear. Unlike other tapes that must be cut with a knife, the GP tape is perforated making tears easy and allowing for knife free work, which is much safer on a ladder. Just like other seam tapes, it’s good practice to use a rubber roller to properly adhere the tape. The tape has a pressure sensitive adhesive that needs that contact pressure to properly adhere to the sheathing. The tape is also used to cover any scrapes in the laminated barrier, or over driven fasteners that should be sealed. So when someone asks me why as a builder I’d use this product the answer is quite simple. 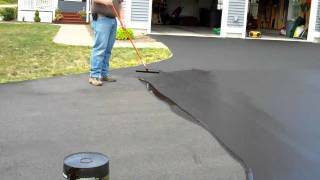 We are always striving to offer our customers premium products, proven performance, and a house that doesn’t require call backs due to poor material performance. We’ve used a similar product for years and the improved building envelope from an air infiltration point of view is very important to our customers. We believe in this technology and help our customers understand why this approach is superior to traditional building wraps. 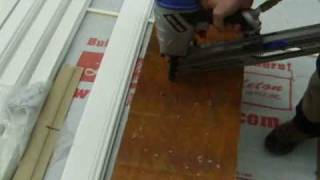 Furthermore, using a laminated barrier sheathing product eliminates the need to install house wrap. On multi-story homes, house wrap is a logistical problem, and quite often we find ourselves chasing after run away pieces of house wrap all over the neighborhood. At the end of the day we feel this type of building product helps us be more efficient, it improves the quality of the building envelope, and it shows our customers that we promote premium products. The million dollar question is cost right? We stopped using building wrap over six years ago. 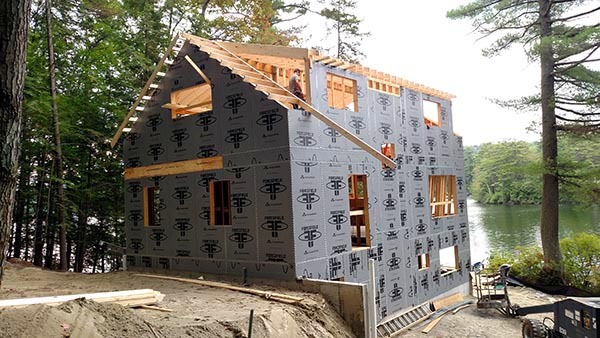 Until this point we’ve used Huber ZIP sheathing which costs approximately $22 / sheet here in NH. The GP ForceField costs around $24 / sheet here but it’s not a standard stock item so that number is likely a tad high. Here in this area conventional OSB costs around $12 / sheet. So what does all this mean? This type of sheathing is about twice the cost of conventional sheathing. However, you still need to ad the cost of building wrap along with much more labor that the other sheathing with the barrier laminated on it. By time you factor in the building wrap I believe the new products like GP ForceField® are approximately 20% more than traditional sheathing. However, the performance benefits alone are worth the investment. Lastly, the sheathing on a modest house like this one (2,500 sf home) is a small cost compared to the larger budget. 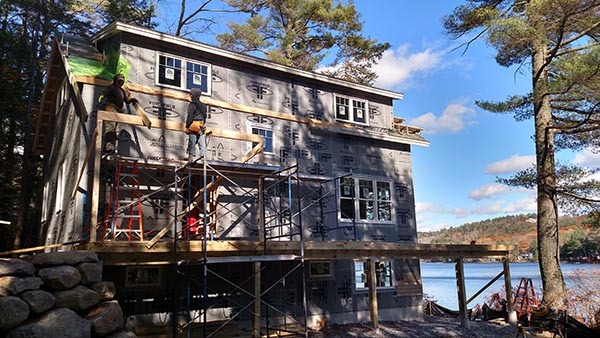 For this home the estimated cost premium to go from traditional sheathing and house wrap to GP ForceField® is around $1000 total or approximately $0.40 per square foot of construction cost. I don’t know about you, but the added performance to the house is certainly more than worth 40 cents!! Like any new product I’m always looking for things I think can be improved upon. The only slight issue we saw when using this new product is and occasional “blistering” of the laminated barrier. While the barrier had some small areas of “blistering”, the membrane appears to be intact, thus still performing the task of a barrier. It would be nice if the manufacturing process could eliminate this issue, in for no other reason than peace of mind. 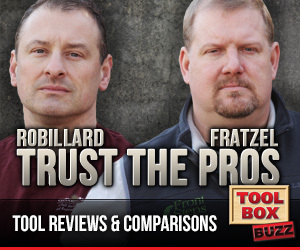 We’d also love to see GP expand this product line to roof sheathing as well. 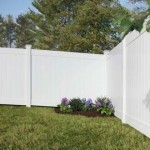 Currently GP ForceField® is only available as a wall sheathing product. After using the competitors panels for some years now, we like doing both the walls and roof with a system. As a builder I love being able to use innovative new products to improve the quality of the homes we build. I also like having choices of materials and manufacturers to help keep pricing competitive, and also to keep new product development pushing for improvements in our industry. Over the last six years we’ve been using ZIP System sheathing from Huber with great success. 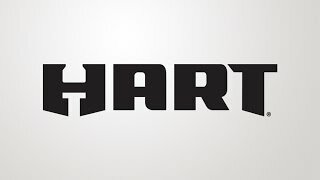 The downside is we haven’t had any other option for a similar product. With the introduction of GP ForceField® we now have another option. This helps us keep our bids competitive, and it also gives us hope that this type of product will continue to develop and lead to improvements that we all benefit from. So at the end of the day we all win from having more choices and this is certainly no exception. 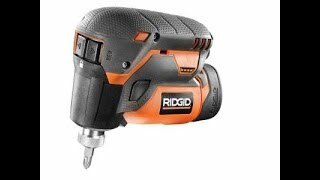 I can’t tell you how excited I was last year at the International Builder’s Show when this new product was introduced. We left building wrap behind years ago and have no desire to go back. We are committed to building homes using a sheathing product with an integrated air and water barrier. 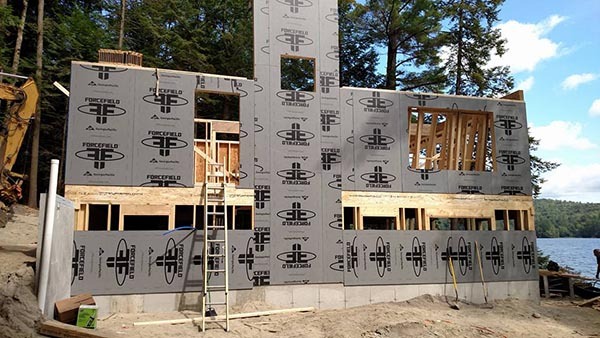 GP ForceField® was easy to install and met all of our expectations for a premium sheathing product. Not only is the product easy to install, it sure does peak the interest of passerby’s and acts almost as an advertisement for us. 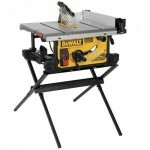 It sends a message to potential customers that we use advanced materials and offer our customers quality construction. We will definitely be using Georgia-Pacific ForceField® sheathing on more homes. The comment above is either a builder who hates his competitors using better products than him and won’t switch because he is to cheap… or is a house rap manufacturing rep who just dog tales all these posts and that’s all he can do is make up crap about Huber zip or gp ForceField. I’ll tell you right now that house wrap is junk and it’s not just because of the product but because rarely douse anybody put it in right but I’m not going into deatail about that right now.